Mar shares how she ditched her fear of color and finally swapped out her neutral-loving tendencies for brighter, bolder pastures. Felicia talks about one of her favourite looks for spring: utility chic. She pairs her army greens and camo prints with some cool updated accessories with a pop of color in this post. Patti rounds up a list of clothing and accessories that are “no-no’s” for women who are older, smaller, taller and sassier. In this post, she shares her thoughts on items no one should ever wear, regardless of age or size. Sign up for our Fashion Friday Newsletter! Links à la Mode is a roundup created to give you recognition and drive traffic to your best posts. Started in 2009, we've posted this roundup every week, giving many fashion bloggers a way to grow their traffic. Fill out this form to submit your post. Our editorial team will review all submissions to select a few great articles to be included in our weekly roundup. Roundup blog post goes live. Winners receive an email from IFB with instructions on how to place roundup on their blog. Winners are responsible for posting the roundup on their blog by Wednesday of the following week. If winners do not post roundup on their blog the week they are chosen, they cannot participate in Links à la Mode in the future. The Fashion Blogging Roundup email goes out to 20'000+ super engaged fashion bloggers, and winners are featured on our Facebook page (70'000+ fans). Thoughtful content. Clear point of view. Current observations within the last three weeks. Make it more than an OOTD. Photos that enhance content. This feature is sponsored by Shopbop. They help us pay for the developers who keep the site running, and the hosting so we can bring you better resources! While it is optional to post the Shopbop links on your site, it would certainly help the community as a whole! Thank you for the feature! I enjoyed reading everyone’s blog as well. Best feature of IFB! So true about the off shoulder everywhere ! I absolutely adore the style but have to restrict to weekends ! I love throwing sleeveless vest or jacket over them to create a more ‘cold shoulder’ look and appropriate for work. So honored to have been featured! 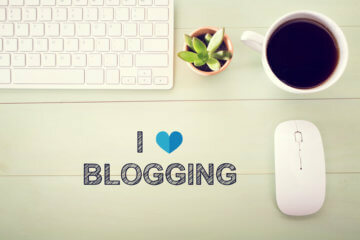 You are always so good to all of us bloggers! I love this community. I am grateful! Muah! Thank you very much for featuring Attire Club! I loved the looks, I need an updated one in my wardrobe, because it’s been a while since I bought nothing for myself. Hi I’m Kate from Tbilisi capital of Georgia. I’m start up blogger and lover of vintage and fashion(more about me you can read in my blogs).I want to success in this fiel and will be greatfull if you give me a piece of useful advice. I did not understand the main idea of this letter I recievd but decided to take place. Thank you so much for the feature!! I’m so excited! Thanks, IFB to create this amazing fashion community for the bloggers. I think it is one of the great places to demonstrate the new Fashion trend. Thanks for including me in this week’s roundup! Love all of these picks.